Nektan plc (LON:NKTN), the fast-growing international gaming technology platform and services provider, has today announced that it has signed a contract and is now live with BetVictor, one of Europe’s leading gaming companies. Nektan has integrated its B2B E-Lite casino platform into the BetVictor’s casino offering. This is the first deal of its kind for Nektan. 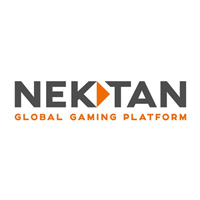 Signing a partnership with a globally established gaming business is a landmark win for Nektan’s higher margin B2B business and provides further momentum to the Company’s growth. Through Nektan’s partnership with Malta-based gaming company, Tyche Digital Malta Limited, the deal will see BetVictor take the E-Lite platform’s casino content and distribute it across three of its key casino brands giving Nektan access to BetVictor’s flourishing customer base. The integration significantly expands BetVictor’s casino offering, with the E-Lite platform giving it direct access to HTML5-developed slots and table games from more than 24 of the industry’s leading games and content developers. “We’re thrilled to have partnered with BetVictor, a leading operator with a thriving global customer base. This landmark partnership is set to deliver commercial opportunities to develop and drive significant revenue generation for Nektan throughout the coming months and beyond. It is also a demonstration of how we are fast becoming the go-to provider of premium and compliant entertainment content throughout our industry. The speed with which we can deliver our content to live environments for partners is what differentiates our technology.